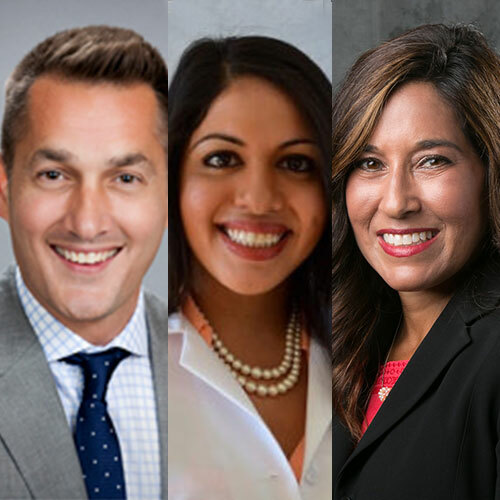 This week, we’re joined by Dr. Clayton Blehm of Gainesville Eye Associates, Dr. Reena Garg of Georgia Eye Partners, and Dr. Gayle Goldstein of Georgia Ophthalmology for a discussion on eye health, including the latest surgical solutions for cataracts and glaucoma. Cataract surgery and refractive surgery, diabetic eye care, and eyelid rejuvenation. He has led and assisted in numerous research projects and has presented the findings at multiple national meetings and through published journal articles. Dr. Reena Garg is a highly respected board certified, fellowship trained, ophthalmologist, specializing in all aspects of medical, laser, and surgical treatment for glaucoma. She is an accomplished cataract surgeon who offers routine cataract surgery as well as laser assisted refractive cataract surgery with toric and extended range of vision lens options. She also performs MIGS, or minimally invasive glaucoma surgeries, in conjunction with cataract surgery for cataract patients who have glaucoma. Dr. Garg graduated from Drexel University School of Medicine with high honors and completed her Internship at the University of Maryland Medical Center. She then completed her Ophthalmology residency at the Case Western Reserve University School of Medicine where she served as Chief Resident. Dr. Garg went on to complete a fellowship in the field of Glaucoma at the world-renowned Columbia University. Dr. Garg is known for her kindness and compassion towards patients, co-workers, and colleagues. She was awarded the prestigious Humanism in Ophthalmology award during her Chief Residency – an honor only given to one resident per year. Prior to relocating to Atlanta, Dr. Garg served as an Assistant Professor at the New York Eye and Ear Infirmary of Mount Sinai. During her time there, she was involved with many clinical trials developing cutting edge surgical techniques and ground breaking medications in the treatment of glaucoma. Dr. Garg will be seeing patients at our Johns Creek and Midtown locations. She will perform surgery at Eye Surgery Center of Georgia, our state of the art ambulatory surgery center, as well as Northside Hospital. Dr. Garg is also fluent in Spanish and Hindi.